song on the radio at the minute? We love the one that goes 'Go baby, go baby go!' (its in an advert too I think?) no idea what its called or who its by but me and lo dance to this everytime we hear it.He giggles as when we get to the last 'go!' I throw him in the air. Not in a scary way or anything but he loves it! Any song driving you menatl that you can't get out of your head? The Chris Moyles paraody of the Kings Of Leon is ruinning another of my favs! Sorry for boring post just a bit bored!! Dreaming of Debbie Magee!!! My husband can't stop singing it, it's driving me mad! My daughter loves the metro station song, shake it! Oh yeah shake it like that or is that wrong seeing as I'm over 30??!! Bob the Builder big fish little fish as off to itunes I reckon my lo would love that and we're off on a long trip this week so oh will love it on repeat!!! Dreaming of Debbie Magee-who would though?! That Dave Vitty is clearly bonkers! There are actions too?! Matt will LOVE it! Think you've started something here R and R!! I love a bit of old blue eyes Istbaby-yippie too and Taylor Swift like that one too-can you tell we have the radio on nearly all day?! Well up untill This Moring then back on after Loose Women! I loved Dave's 'My lamb bhuna' parody, definitely my fave. Yes it's the "shake it like that" song. I have to shake her when the chorus comes on (not in a scary way lol) and she's in fits of giggles! bluevicki 'Lamb bhuna' I think is his best but his voice is very odd.All high and child like-errrr! Love the video of them doing it with Mark Ronson and his band-dead, dead good! They are clever but God they do stick in your head don't they??! What's the one done to Estelle's American Boy and Chris does an accent? It'll come to me in the middle of the night won't it?!! That's it-thank you! Am off to bed to watch the Apprentice and eat chocolate!! 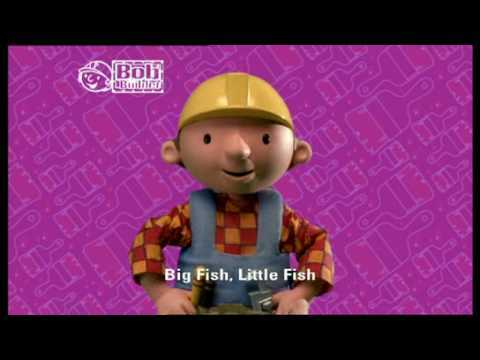 Bob the builders big fish little fish is awesome!! I know all the words and moves!! Kelsie and I always dance to it!! Romeo and Juliet song is Taylor Swift I think. I LOVE Radio 1 have to listen to Chris then miss out Jo Wiley and then back on for Edith. We are big Radio 1 fans in this house-sometimes I end up with it on in 3 rooms while I'm doing jobs and stuff!!! Possibly I don't like the quite either!! Love the fact everyone knows the Bob the builder song-I'm so out of touch!! i love 'poker face' by lady gaga. my lo likes to kick along to it so its doubly enjoyable! Ohh yeah like that too-she's a bit odd thought isn't she? Those giant pants???! she is a bit odd... but she's a bit like a Accident- you cant help but look at her!